Jill Clayton was sworn in as Alberta's third information and privacy commissioner on February 1, 2012. 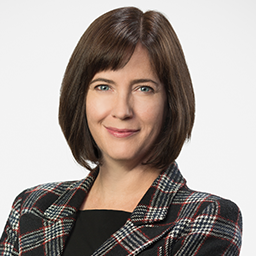 Clayton began her career with Alberta's Office of the Information and Privacy Commissioner (OIPC) in 2004 as a portfolio officer with the team responsible for ensuring oversight and compliance with Alberta's Personal Information Protection Act (PIPA). She served as acting director, PIPA, from 2007 to 2008, and director, PIPA, from 2008 to 2011. In June 2010, Clayton was appointed assistant commissioner, responsible for the development, implementation and oversight of amendments to PIPA, particularly mandatory breach notification requirements. Prior to her service with the OIPC Clayton worked as a privacy consultant, providing services to public- and private-sector clients, primarily in the healthcare, oil and gas, telecommunications and non-profit sectors. She also worked for the Bethany Care Society as manager, planning and performance measurement, from 2001 to 2002, and records management coordinator from 1998 to 2000. Born in Calgary, Clayton holds degrees in history (BA) and environmental design (MEDes Planning) from the University of Calgary. A nonpartisan officer of the legislature, the information and privacy commissioner has the requisite authority to perform the broad range of responsibilities, duties and functions prescribed in the Freedom of Information and Protection of Privacy Act, the Health Information Act and the Personal Information Protection Act.